Mayor Rick Sollars was the featured speaker at the Truman High School 3.333 Honors Assembly on Friday, April 17, 2015. The school district honored about 150 underclass students. Handed out were "Class of '16 Gold Pins" for three years of a 3.33 GPA or better; "Class of '16 Silver Pins" for two years at a 3.333 GPA or better; "Class of '16 Bronze Pin and letter" for one year of a 3.333 GPA or better; "Class of '17 Silver Pins" for two years at a 3.333 GPA or better; and Class of '17 Bronze Pin and letter" for one year at a 3.333 GPA or better. The Class of 2018 also received a bronze pin and letter for its only year at 3.333 GPA or better. Principal Melissa Skopczynski led the breakfast event, attended by a large crowd of parents. Also attending were various school staff, Board of Education members and Assistant Superintendent Teresa Winnie. Mayor Sollars, a graduate of Taylor Center High School and private business owner, lauded the students for their academic efforts and emphasized that the students are in control of their future. "There are a lot of things that you won't be able to control in your lives," he said. "But you can control your education and your achievement. And, since you are sitting here today, you already have a good start." 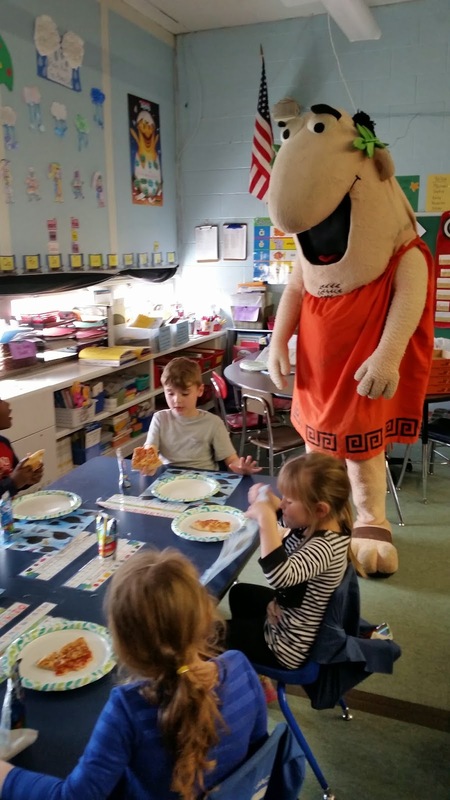 HOLLAND ELEMENTARY SCHOOL: Students meet the Pizza Caesar! 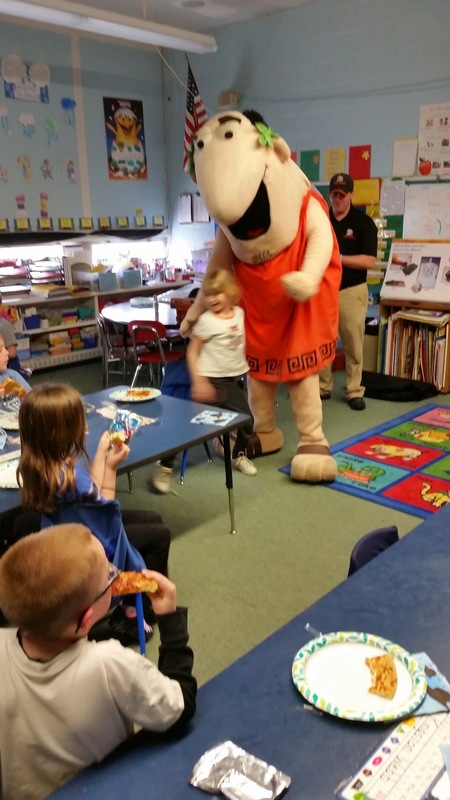 Mrs. Madden's kindergarten class at Holland Elementary School recently earned a pizza party from Little Caesar's. 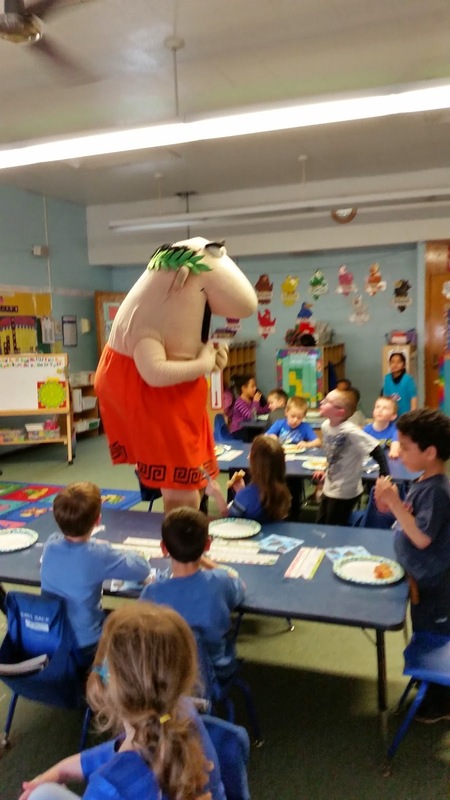 The students were thrilled to meet Caesar himself in their classroom! 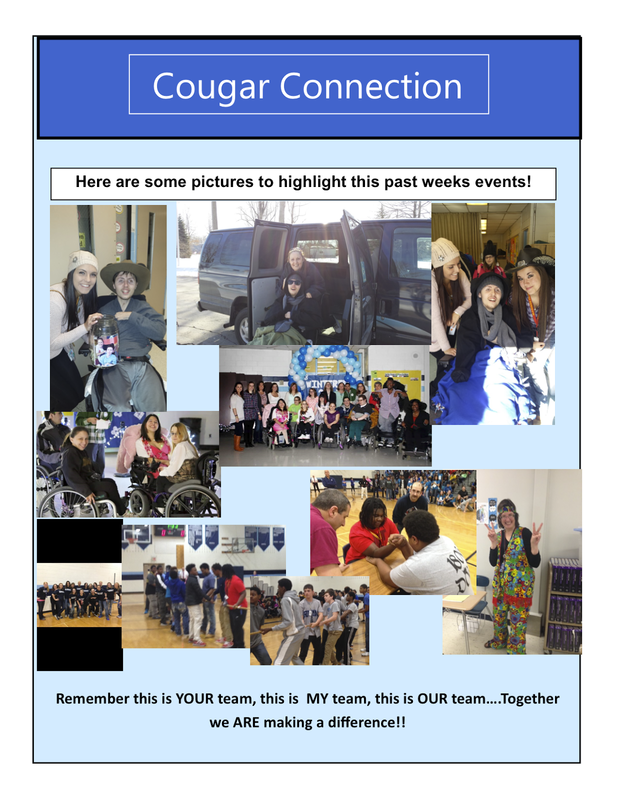 MELISSA SKOPCZYNSKI: Cougar Connection is back! MOTHER-SON DANCE: Don't forget to buy tickets!